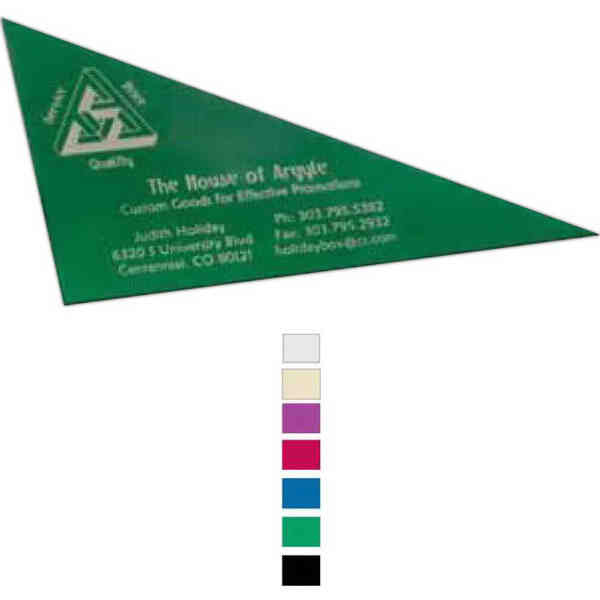 Size: 12 " - Aluminum, calibrated 30/60/90 drafting triangle. Stamped out of aluminum sheets and then photo anodized. Triangles are great for drafting professionals or anyone else who desires a unique and memorable business card. Price Includes:one color imprint on one side.